Sara Grant’s Half Lives (Indigo, 2013) tells the story of two young people living in the same place but separated by time. Icie (short for Isis) is a 21st-century teenager at high school in Washington DC. Her life is completely normal until the day her parents (a government employee and a nuclear physicist) tell her they must leave for Las Vegas immediately. They have the key to a secret mountain bunker there and must hide out to avoid an imminent terrorist attack, not bombs, but a deadly virus. Not only that, they have breached national security by taking the key and running away. As a result of this, Icie’s parents are arrested before they get to the plane and she has to go on alone. On her journey, she meets three other young people: cheerleader Marissa, poor little rich boy Tate who dreams of being a rock star and the mysterious Chaske who saves her life by killing a venomous snake. Together, they find the bunker and seal themselves up to await – what? Interleaved with this is the story of another group inhabiting the mountain at some time in the post-virus future and worshipping the Great I AM. Their young leader is Beckett, and most of this second story is told from his point of view, as he faces challenges from some of those he thought were his friends, and decides what to do when a mysterious girl, Greta, appears on the mountain. He falls for her, but is she a spy from a terrorist group? How do these two stories connect, and do they work together? Initially, I found Icie’s story much more compelling and would look ahead to see what was going to happen next before reading Beckett’s sections. However, I was gripped as the connections became more apparent and it became obvious that something of Icie had survived. The language and rituals of the group owe a lot to 21st-century teen vocabulary with “Whatever” elevated to a sacred word. Even the characters’ names begin to take on a significance related to our own time. Eventually, both Icie and Beckett discover the mountain’s dangerous secret which has a profound effect on their lives. 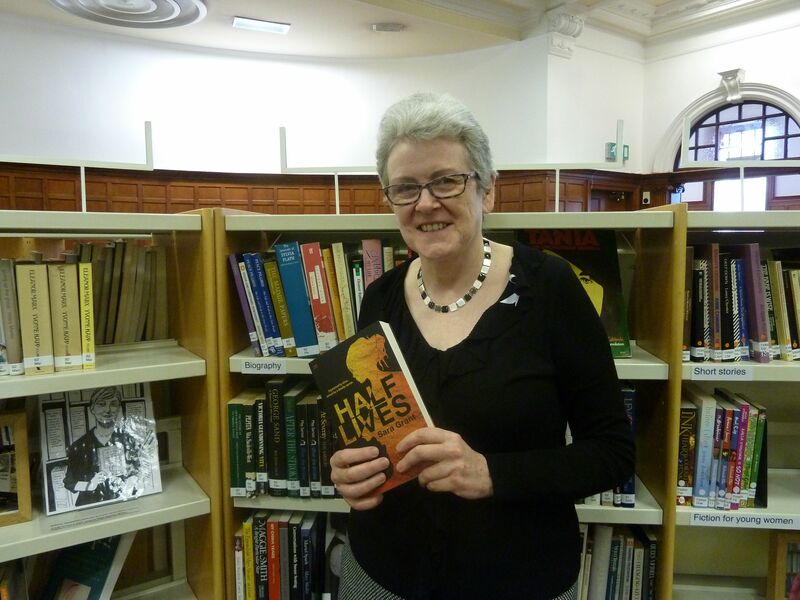 Half Lives, an addition to Glasgow Women’s Library’s collection of books for younger women, is entertaining and exciting, but will also make the reader think about the way we treat our world today. This review was written by Annabel Marsh, a volunteer at the GWL.